The lights dimmed, the atmosphere became quiet and dim. What will happen then? The question comes to mind all the spectators. Shortly afterwards, the spotlights shined onto two young ballerinas who came to the stage. Then the serenity music began to reverberate accompany of the colorize spotlights. 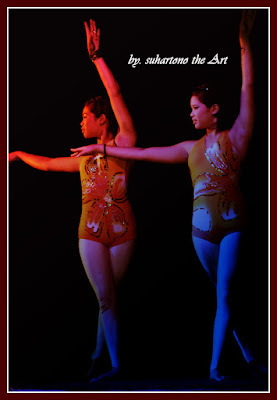 Both a ballerina and even then began to show contortion flexible body motion is beautiful with a variety of movements. After many variations of movement, both had left the stage accompanied by the thunderous applause the spectators. 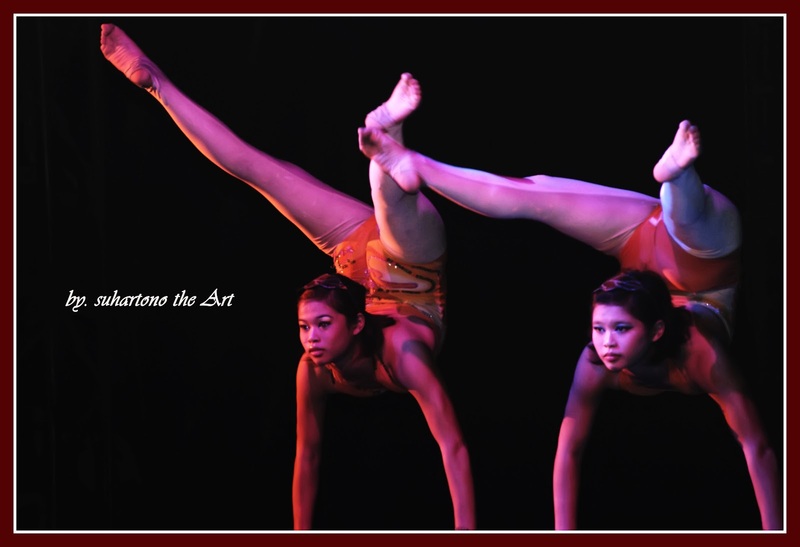 Motion contortions of ballerinas are so beautiful and amazing. Unfortunately, these moments were very fast passing whenever that may happen again. Only the photos can be perpetuating these beautiful moments in memories.